Note: The prompt asks the writer to discuss a guilty pleasure. 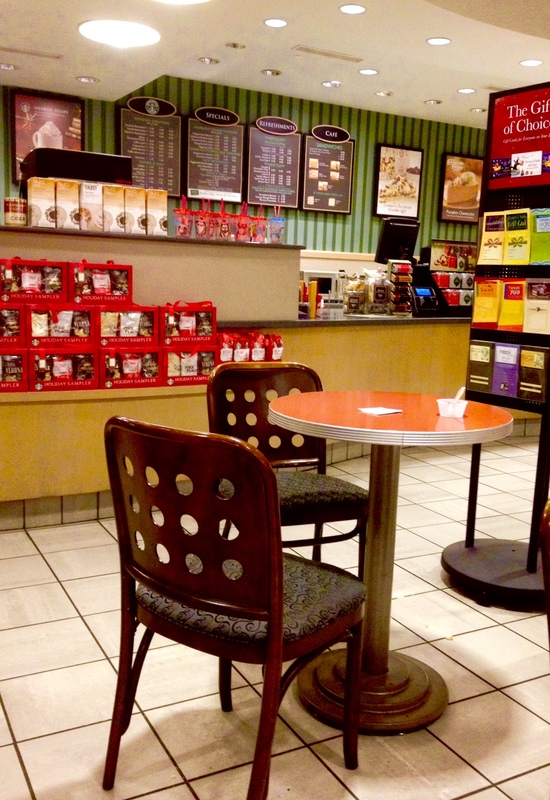 If you haven’t guessed, my guilty pleasure is spending my free time in Barnes and Noble, preferably in the seated cafe area, and soaking up the environment. There’s so much more to learn beyond the books that line these aisles. Following this statement is my description of the scene before me on today’s trip to Barnes and Noble. I hope you enjoy it. As I sat on the floor of my local Barnes and Noble accompanied by my purse and laptop, the building swamped with locals taking shelter from the rain, I took a good luck around at the faces present among me at the filled seats. Students, potentially from my university, families with small children giggling at the sight of a new picture book, middle-agers catching up on the latests magazine publications, hot coffee warming the palms of their hands. There’s a lot you can learn about the people you see around you just from observing their choices. What do I mean by that, you ask? What they’re eating, what they’re dressed in, how they present themselves among the crowd. Do they smile back when they catch your gaze? Are their faces buried into a novel, concealed? There are so many factors that come into play when you’re evaluating strangers. I often do this before I sit down, if there are choices to be made between seats. I like to scan the area and make mental notes. Who could I see myself talking to? Who seems to have the same interests? Are they reading that psychology book for study, or for pleasure? Do they look intrigued, bored, indifferent? Are they accompanied, did they bring their work from home? This time, however, there are no seats. I begin fiddling with my fingernails, picking off the remnants of my icy blue nail polish. I can feel my leg falling asleep, and shake it out from under my other leg, stimulating the blood flow to my dead limb. I look up to see a woman packing her work in a rushed manner, the individual on the other side of her phone line consuming her thoughts. Purse and laptop in both hands, I wait for my approach. As I wait, I catch a glimpse into the conversation of the woman sitting behind her joking with the cafe cashier about prioritizing the production of the pumpkin spice latte. I feel like gagging at the mere thought of pumpkin. She evacuates, and I claim the table before anyone has the chance to grab it first, a little table in the center of the room. The room has grown silent, aside from the scattered orders at the cafe every couple of minutes. An increasingly apparent chatter has grown with the expansion of the cafe line, attracting the attention of the readers. They seem agitated by the sudden introduction of noise. And that is simply what it is at this point: noise. Words exchanged between the ten individuals are essentially indecipherable. Even with such a diverse audience, such a broad spectrum of types of people, Barnes and Noble still captures the essence of calmness, focus, productivity. It’s an environment that sparks and nurtures my creativity. What would you say is your guilty pleasure?